Reviewing Transformers: Dark of the Moon reviews. Worldwide icon-chevron-right North America icon-chevron-right United States icon-chevron-right Illinois icon-chevron-right Chicago icon-chevron-right Reviewing Transformers: Dark of the Moon reviews. We find the best Michael Bay put-downs. 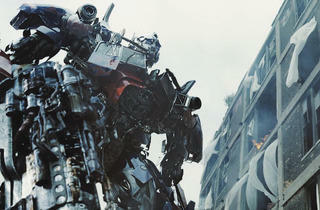 Photo By: Paramount PRIME DIRECTIVE Optimus vows to protect our city. Whatever else one might think about Michael Bay, he’s one of the most entertaining filmmakers to write about, with critics alternately sharpening their knives or preparing blushing defenses. The Chicago-shot Transformers: Dark of the Moon hits VOD, DVD and Blu-ray Friday 30, so we figured it was time to look back at some of our colleagues’ best quips. Reasoning There is a lot of competition in this category, and Morris cheats a bit by shoehorning the movie’s content into the pattern of Billy Joel’s song, but he wins points for summarizing the entire plot and then dismissing it in two fleet sentences. Reasoning The notion that Michael Bay is a stealth experimental filmmaker is nothing new, having been proffered even by Wesleyan’s Jeanine Basinger, his old film-school professor. 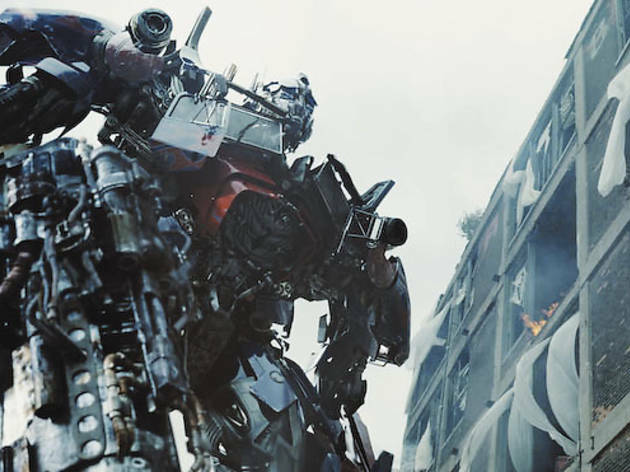 Over the course of a long piece, O’Hehir makes a persuasive case for Transformers: Dark of the Moon as the reductio ad absurdum of the modern blockbuster, although that devil’s-advocate argument applies just as readily to the widely loathed second film, Transformers: Revenge of the Fallen. Reasoning The noted contrarian critic actually offered praise for the second installment, writing that “in the history of motion pictures, Bay has created the best canted angles—ever.” But of all the things to criticize in the third—the sloppy editing, the nonsensical plot—the robots’ lack of humanity seems a strange choice. Reasoning There’s no one better than Ebert when it comes to coining simple but useful snaps, and Michael Bay brings out the best in him. His 1998 dismissal of Armageddon—a movie “cut together like its own highlights”—seems eerily prescient.